The Dunlin was @SpeciesofUK from 14th to 20th October, 2013. 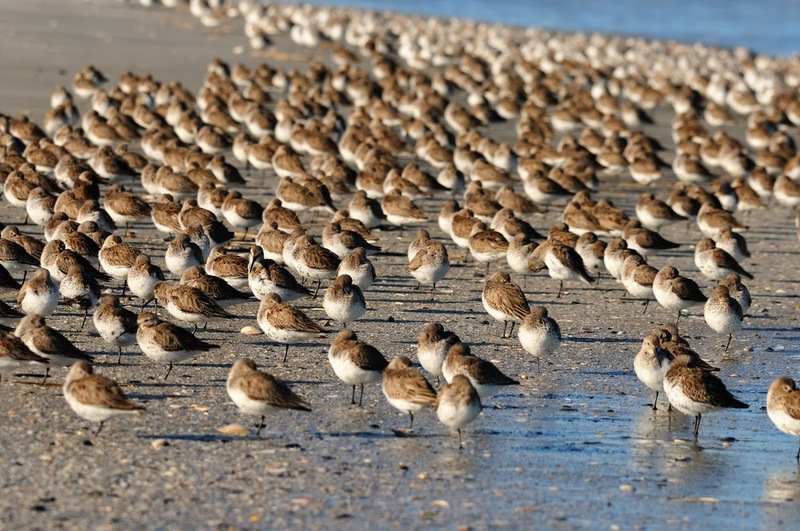 Dunlins are waders that form massive winter flocks in the UK. They are known for the black bellies they develop in their distinctive breeding plumage. Dunlins are one of the UK’s most common waders. 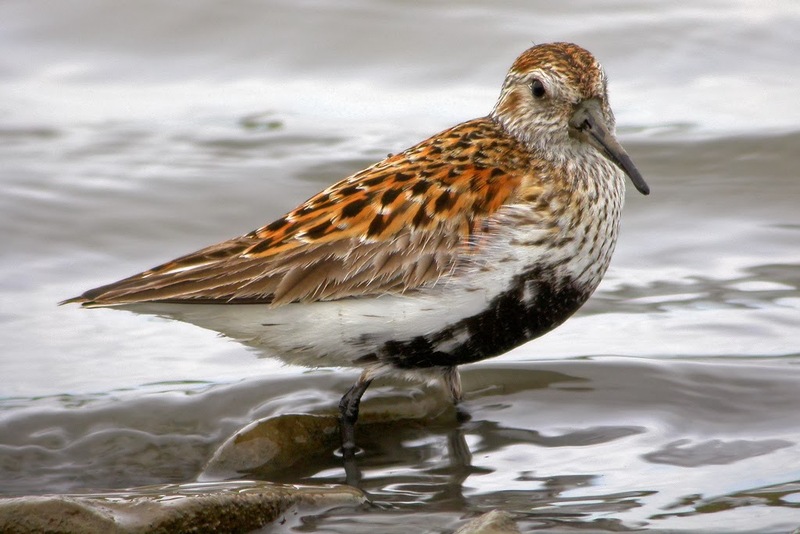 Dunlins are found right across the northern hemisphere, from North America to Russia and China, to the African, Mediterranean and Arabian coasts. 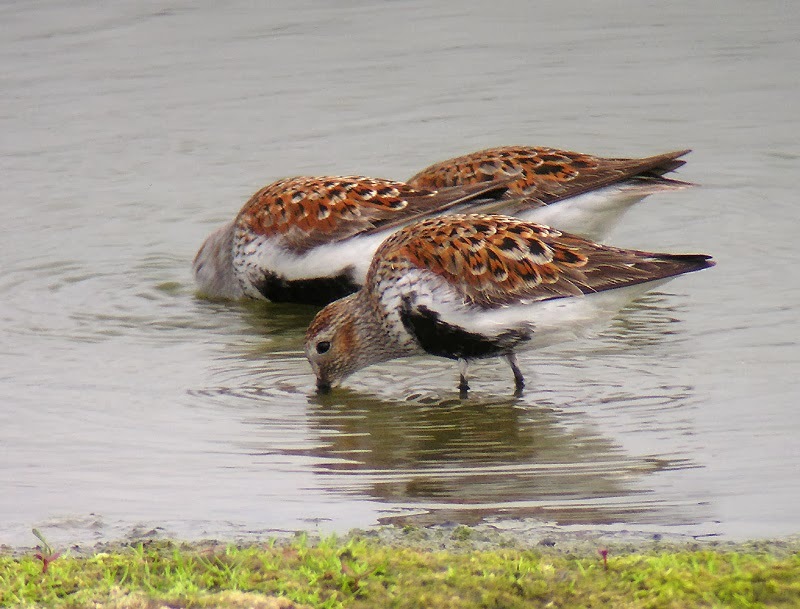 Dunlins breed in UK uplands from April to July. During this time, they are found in their greatest numbers in the Western and Northern Isles, the Flow Country (in the far north of Scotland) and the Pennines. Outside of the non-breeding season dunlins prefer estuarine mudflats, or failing that any freshwater and brackish wetlands. 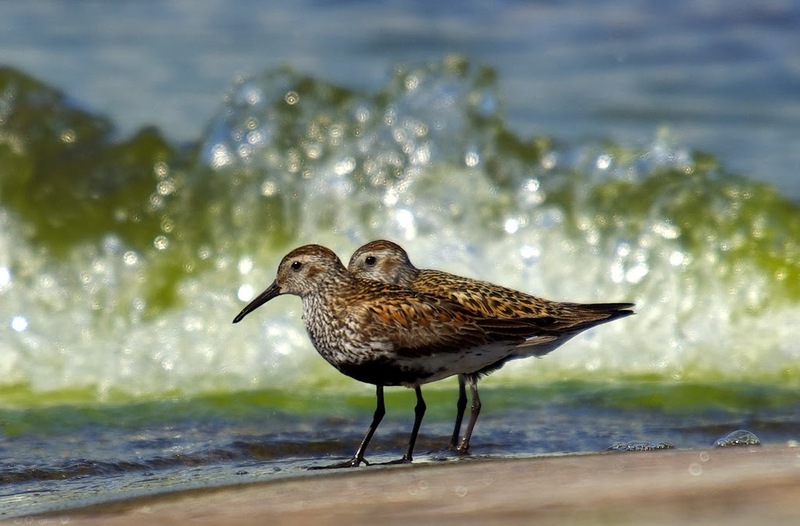 A group of dunlins are known as a 'flight', a ‘fling’ and a ‘trip’. 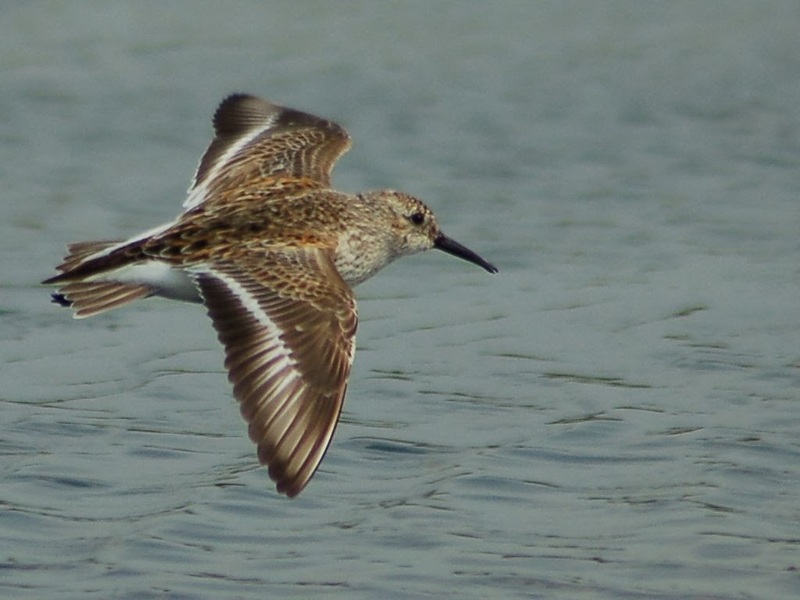 Dunlins have striking breeding plumage. 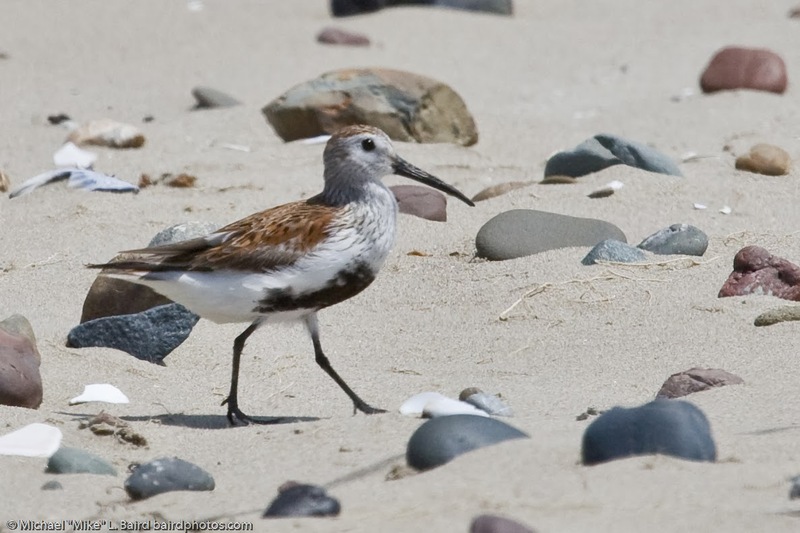 The dunlin has a slightly down-curved bill, which (along with the legs) is black. The females have slightly longer bills than males.. In flight it has white underwings, a white line down the middle of the upperwing, and white on either side of its rump and tail. The white underwings are especially distinctive in flight. In its breeding plumage, the dunlin has a distinctive black belly patch and reddish back and cap. The black belly in particular distinguishes it from all other similar-sized waders. In winter, dunlin plumage becomes very dull, fading to greyish above and white below. Juvenile dunlins are brown above with brownish black splotches on the belly. The call of the dunlin is a "peep", and its display song is a harsh trill. 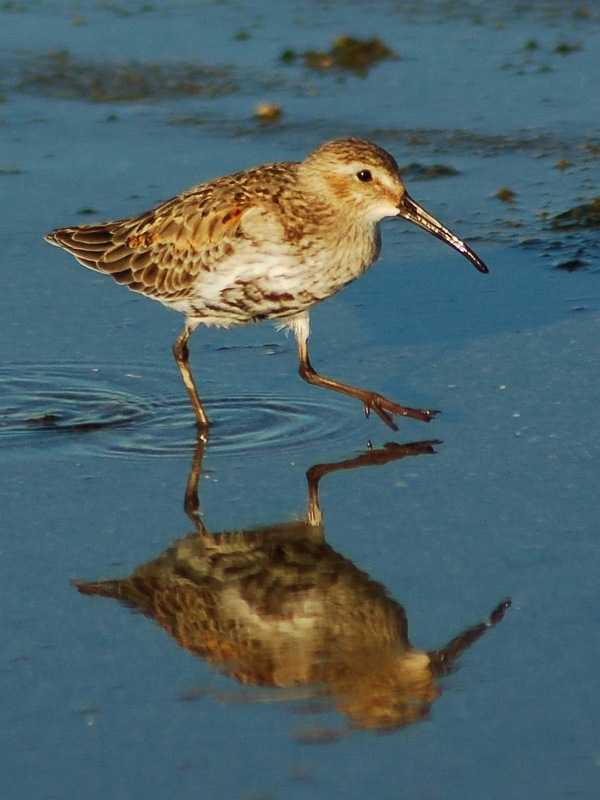 Dunlins are active both day and night. Dunlins feed at night as well as during the day. They feed by probing and jabbing with their long bill in the substrate. 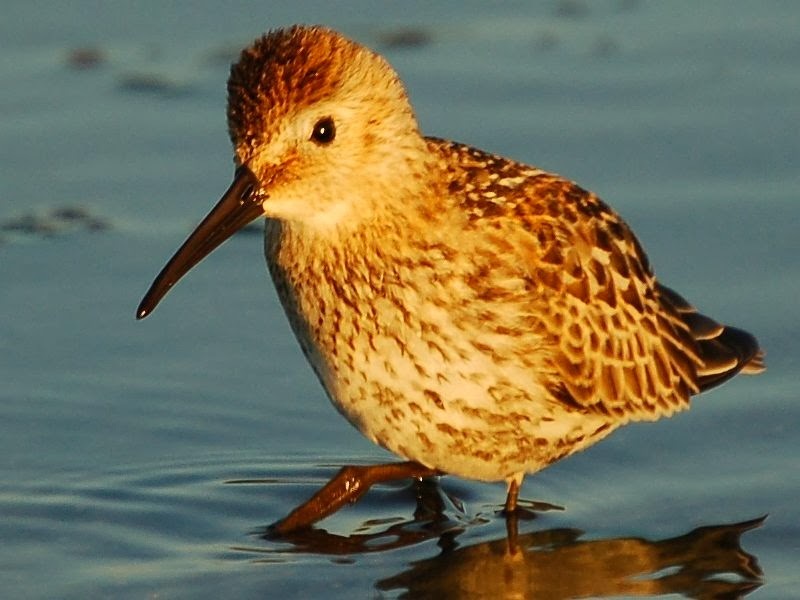 The dunlin eats adult and larval insects, spiders, mites, earthworms, snails, slugs and plant matter (usually seeds). On the coast, it also eats polychaete worms, crustaceans, bivalves, and occasionally small fish. 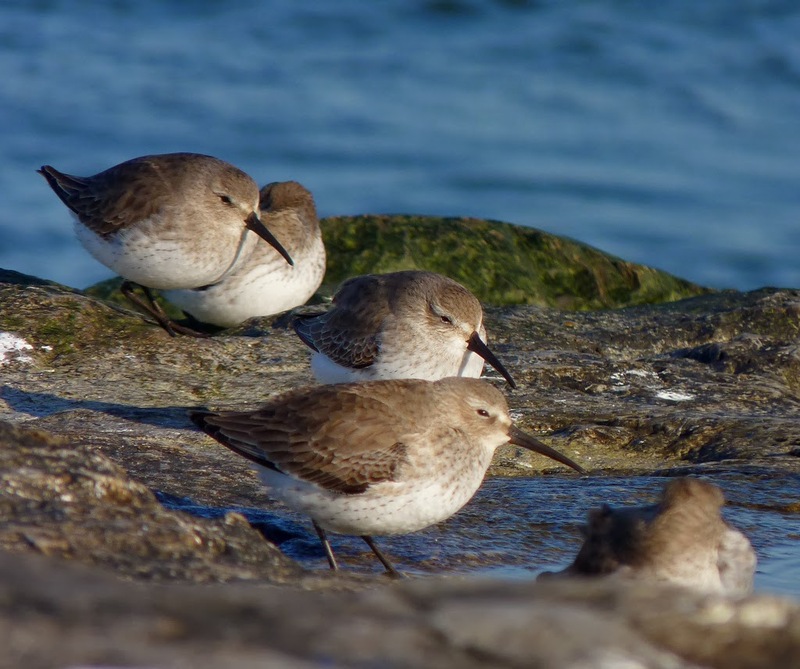 And here is a video of dunlins feeding alongside western sandpipers. Male dunlins work hard to court potential mates. Male dunlins arrive at the breeding grounds first. When females arrive, the males perform display flights - short glides interrupted by rapid flutters. The male dunlin then make several scrapes in the ground. The female chooses one and finishes it off to make the nest. 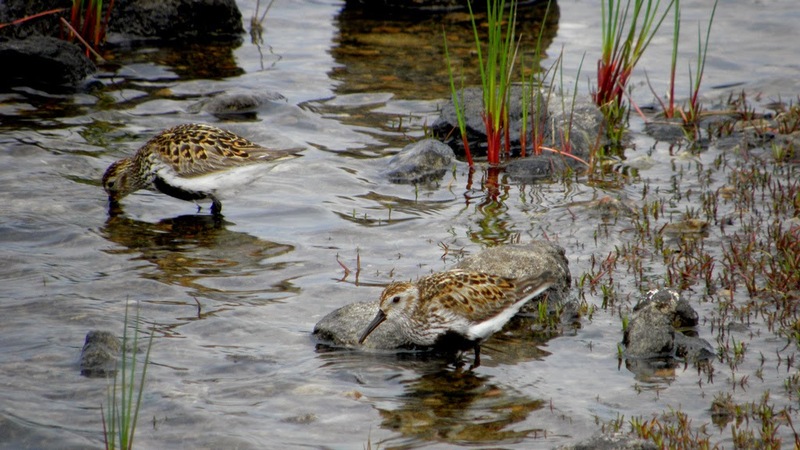 A dunlin nest is a scrape or shallow depression in the ground, concealed in vegetation and sometimes in a tuft or tussock (and thus raised slightly off the ground). 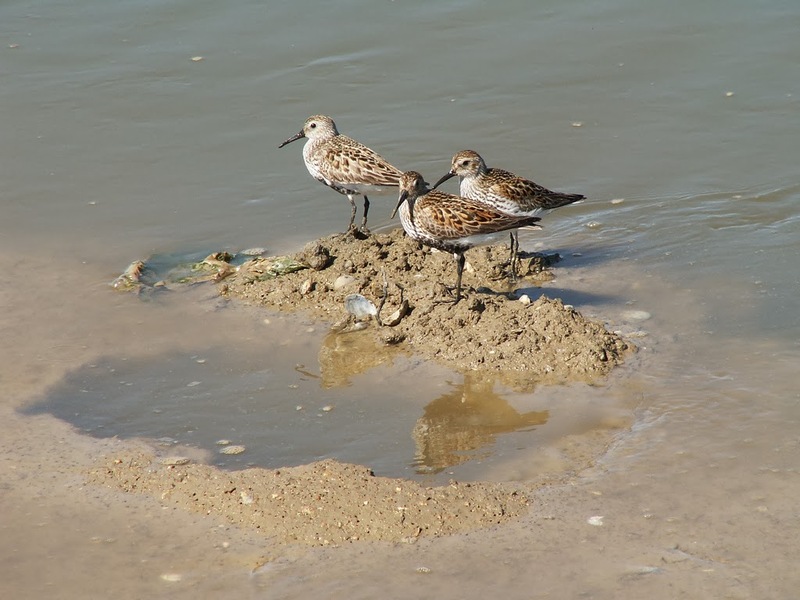 The dunlin usually lays four eggs, which are incubated for twenty to twenty-two. The young leave the nest shortly after hatching and find their own food. 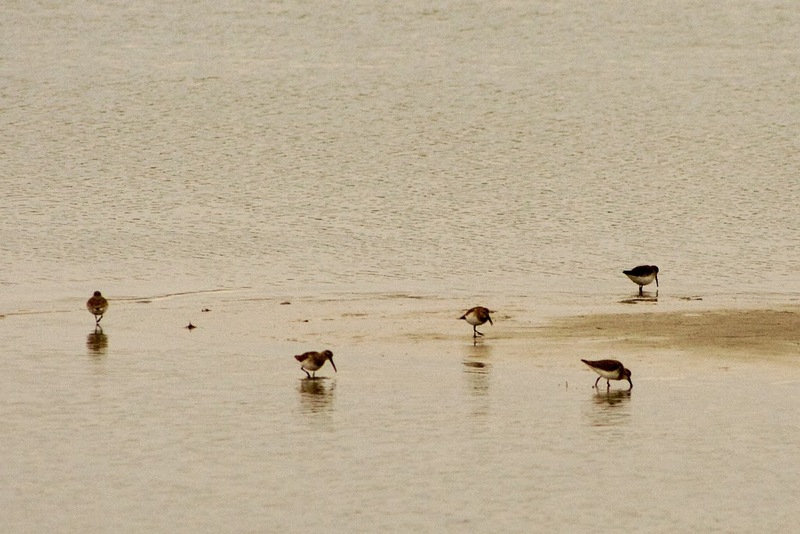 Outside of the breeding season, the dunlin is very gregarious. It forms groups of up to hundreds of thousands at the wintering grounds. 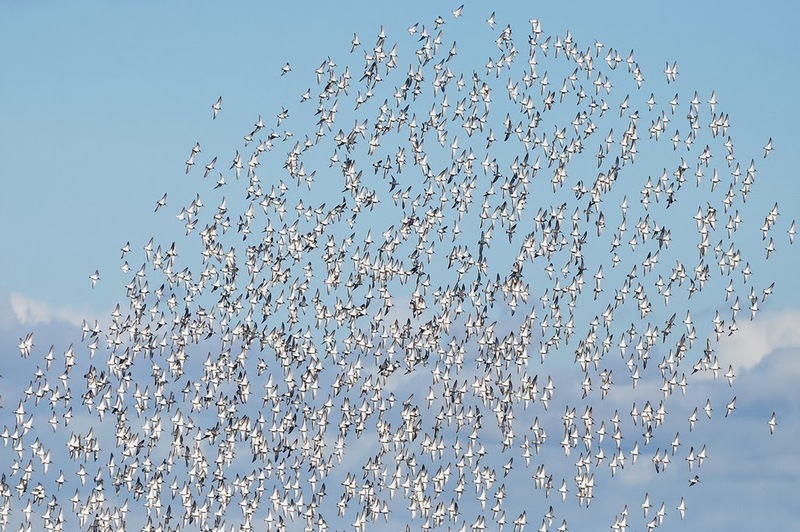 Here is a wonderful video of dunlins flocking at their wintering grounds ‘murmurating’. The male dunlin is the more caring of the parents. The female usually abandons the family group within a week of hatching. The male generally stays with the young until they are close to fledging, typically about nineteen days.